As Twitter prepares for its IPO, some of the company's earliest employees will become instant millionaires -- even billionaires. But not all members of Twitter's founding team will cash in. Like many Silicon Valley startups in their infancy, Twitter's original team changed quickly. Ideas evolved, and some of the people who played an integral part in the early days soon found that they were no longer needed. "Your position has been eliminated": Such was the case for Dom Sagolla, or @Dom, the ninth Twitter user and one of the original employees at the social network. In 2006, Sagolla was head of quality at Odeo, the podcasting company that would eventually spin off into Twitter. As Odeo grew rapidly, Sagolla's role grew more important. But when Apple (AAPL) decided to launch podcasting in iTunes in 2005, Odeo knew it was in trouble. The company decided to reinvent itself. The employees at Odeo decided to hold a hackathon, an event where everyone splits into teams and comes up with new ideas. 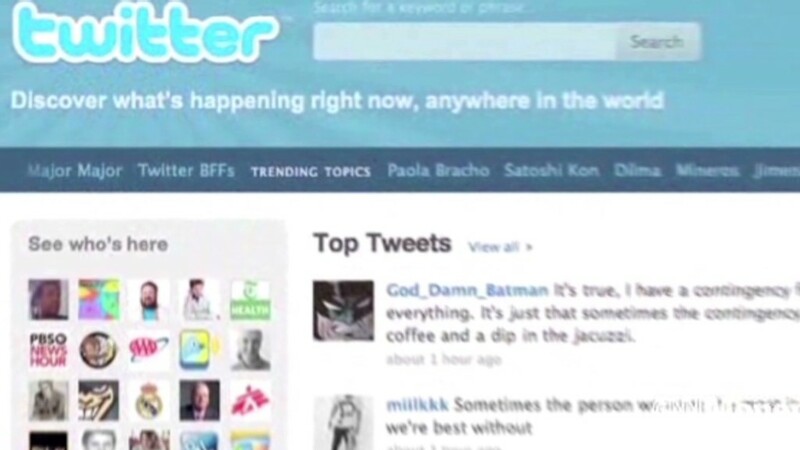 Jack Dorsey created the idea for what would eventually become Twitter. He teamed up with Sagolla and German engineer Florian Weber to pitch it to the Odeo crew. The idea was a hit. Odeo co-founder Noah Glass joined several days later. But Sagolla's role in Twitter was short-lived. Twitter's other co-founders took him for a walk in a San Francisco park. They told Sagolla they were eliminating his position. "It was clear that they were just cutting headcount," Sagolla told CNNMoney. Sagolla was one of four people who lost their jobs that day. Though he potentially lost out on a fortune, Sagolla is good-natured about his dismissal. "I call it my billion dollar MBA, because I got nothing," he joked. "I don't know what I would have deserved. If I had stuck around and contributed more maybe I could feel like I deserved more." Since being let go, Sagolla worked at Adobe (ADBE) and set up an iPhone developer camp. Can't get a visa: Weber, or @florian, stuck around for a bit longer. He played an integral role in Odeo's transition to Twitter, and, along with Dorsey, Weber built the first prototype of Twitter. "I still remember the time Jack and I were sitting in the conference room at Twitter and discussing the concept of 'following,' whether it implies obedience," Weber told CNNMoney. But after working on Twitter for six months after it had launched, Weber was unable to obtain a visa to move to the United States. He had difficulty working with the team while in another time zone. "Everybody was in the office, and I'm not," he recalled. "I'm nine hours ahead." Weber left the company soon after. Since Weber started his work at Odeo as an independent contractor, he never received stock options in Twitter. But Weber said he doesn't regret his decision to leave. Weber went on to co-found a Berlin-based startup that wound up being acquired. Hard feelings: Not everyone who left the company in the early days took their departure as well as Sagolla and Weber did. According to multiple sources, Odeo's co-founder Glass (@noah) has since fallen off the grid. Known in Silicon Valley circles as the forgotten founder of Twitter, Glass admitted to Business Insider years ago that being left out of the founding story was "hard to swallow." Glass' Twitter bio, presumably a reference to the company, remains "I started this." The day after Twitter's plans to go public were revealed, Glass tweeted for the first time in months. "I wish the twitter team the best of luck and trust that they will be successful in continuing to develop this important communication tool."